The inaugural Indie Publishing Forums are coming soon to Melbourne, Brisbane and Sydney. The forums will provide an unmissable evening of advice and insider knowledge from a range of publishing industry experts. 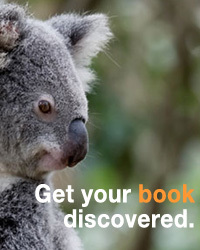 The forums are presented by the Small Press Network, Ingram Spark, Thorpe-Bowker and the Australian Society of Authors, and are supported by the Australian Booksellers Association, Queensland Writers Centre, Writers Victoria and Writers NSW. Each forum will kick off with a keynote address from Ingram Spark’s US director Robin Cutler. Tickets are only $15 (or $10 for members of SPN, the ASA, ABA, or the state writers centres) and $2 from every ticket sold will be donated to the Indigenous Literacy Foundation. Tickets will go on sale soon. To register your interest, email admin@smallpressnetwork.com.au with the subject line ‘Indie Publishing Forum’ and we’ll email you as soon as tickets go on sale.